Marinas, Boat Yards, Boat Service Centers, Boat Dealerships, Marine Parts Distributors and Suppliers, Marine Fuel Retailers, Yacht Clubs and Marina Resorts. Fees starting at $165/month. Volume discounts available. 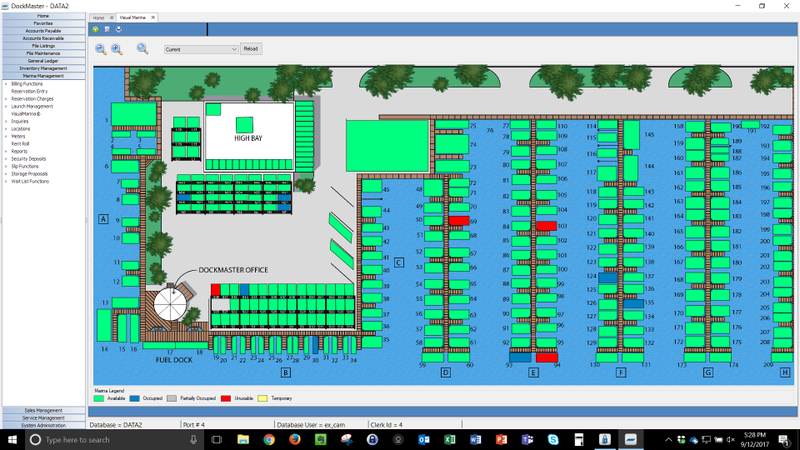 I have used three marina management programs and DockMaster is second to none! Pros: The program is very well thought out and intuitive. We can have users up and running in short order. If we do have a glitch or we don't understand something, it is handled in a very professional and efficient manner. In addition, the group and individual training sessions are awesome! I try to join all of them because it expands my knowledge and it reminds me of items I may forgotten. This is also the only program where you feel as though your ideas and suggestions count. They have an "Ideas" portal which is excellent. You can post any idea and it it is reviewed by DockMaster programmers and other users. Feels good even when your ideas can't go forward because you know you are being listened to. Awesome program! Cons: It doesn't make coffee or bring in donuts. Overall: DockMaster is a collection of "best practices" that if used properly, will help grow your business and profits. We have implemented the program across our departments and it has made a tremendous difference in how well the workflow in every department as improved. We have also improved every faction of our business. Thank you so much for the five star rating. We appreciate your support. We have been using DockMaster about 10 years & the overall experience & customer service is great. Pros: I love the hosted system since we no longer have to maintain a server. It makes it easy to work from home if necessary. Some of the features I like... the ability to email work orders or payment receipts etc.. We use WO estimate's which is a great feature. In AP invoicing I like the added feature of the sublet PO - which allows me to see any discrepancy with the cost on the WO compared to the cost of the vendor invoice. I like that you can have more than one customer maintenance file or WO open at the same time. 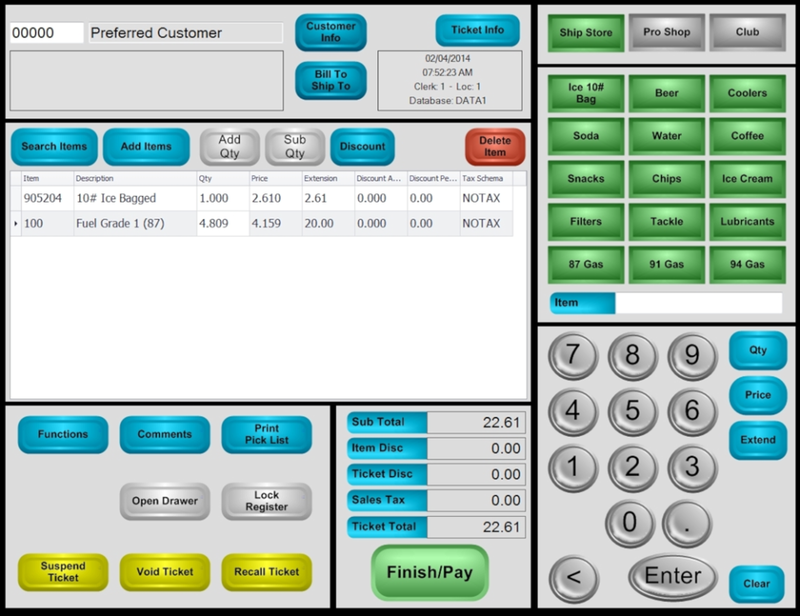 The system allows for you to easily search customers by name, phone number or rack/slip location. Overall the software is easy to use, very reliable & again customer service is excellent. Our support agreement includes training which is good option for new employees. Cons: I don't like to create reports, but generally I can work with one of the system reports to get the data I need. 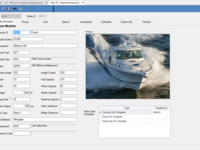 Thank you for posting a review of DockMaster and highlighting the features of our hosted solution. Thank you for your continued business over the many years. The ease of use is certainly one of the benefits of DockMaster, glad to hear your users find it easy to pick up. Our Cloud product has helped to reduce operating costs vs the on promise solutions and the tool continues to get better and quicker with updates. We always recommend checking the type of internet connections your ISP is providing as well. 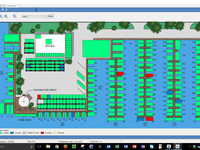 We are pleased DockMaster covers all the different areas of your business in one software solution, we¿ll keep making improvements to support your needs. Pros: It is very intuitive and having had a few years using it we are very happy with it . in addition the backup we receive is fantastic . Thank you so much for the great review. There are a number of different step by step processes to help control cash and invoices. Have you tried using the workflows on the home screen? Once you set them up, you can click one button to automate the flow. 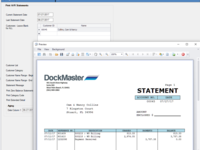 Pros: We use Dockmaster for every aspect of our Marina Operation including our Service Department, Gas Dock, Ship Store, accounts payable, accounts receivable and in the creation of our Financial Statements. We have been using Dockmaster since 2001 and the history we have created over that time is invaluable. Cons: Since we are an association of slip owners, some refer to this as a "Dockominium", we had to create some of our own internal ways to make the system work for us. Once we created these "Work Arounds" the system has performed beautifully. The best, most reliable software for our company! This was our fourth and last software transition. Pros: It is reliable. The support and training is amazing. As a gold member, we are well taken care of. We don't have to worry about excessive support costs above our monthly subscription. I like that DM listens to what customers have to say and sometimes makes enhancement requests. I also love that DM rolls out software updates frequently. They are continuously making improvements to their software. It shows they really care about their customers. Cons: From an accounting perspective, the financial reports need some work, but I think DM is currently in the process of making improvements. The initial setup was difficult. Thanks Dayna for your kind words and review! 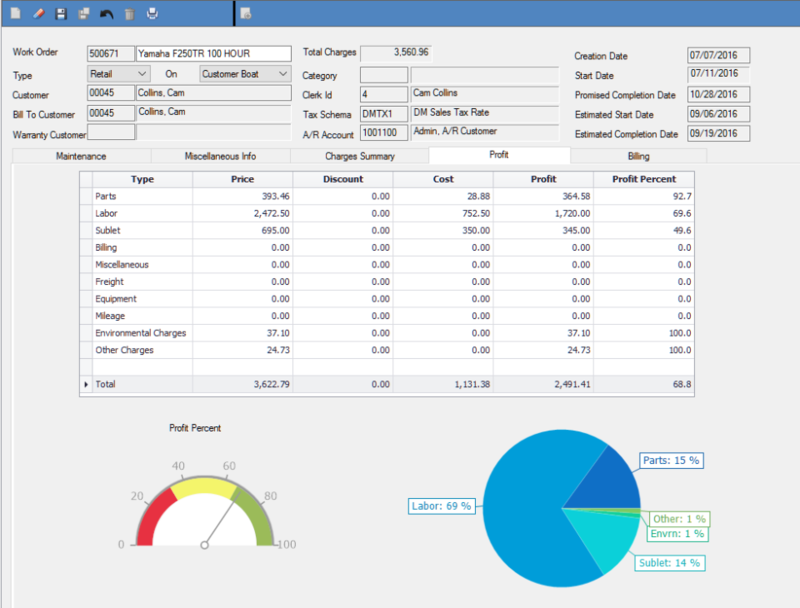 We are in the process of rolling out an SQL reporting service. Mostly this has been a good experience. Pros: The software is specifically geared to the business for which we are using it. There is good customer support. Cons: There still seem to be some system issues. Often the system clogs up and is unresponsive. Sometimes this happens at very inconvenient moments. Overall: This system makes my job far easier than it would be without it. 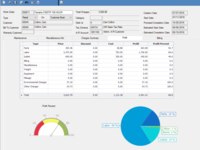 It is a good accounting system and has a number of valuable reports that make analyses possible and fruitful. Thank you for posting a review about DockMaster. It was good to work with you to help get some of the network issues you described resolved. Pros: Customer service and support is right there when you need it. Cons: As with any software there are some hiccups and bugs that come up. Development seems to be addressing them much quicker than in years past. Overall: The company I work for has been using this software for over 20 years now. I myself have been closely involved as the company liaison with Dockmaster support and have found them very professional and down to earth. Thank you so much for the great review. We continuously strive to improve our processes to deliver the highest quality product possible. Comments: I have been using dockmaster for almost 15 years. it seemed to be easier to use when it was command based system 15 years ago. since then we have been forced in many so -called "upgrades" I first welcomed the first g.u.i. based version but recently we have been force to go a system that could also accommodate touchscreens. Features that we took for granted have been taken away, such as the ability to credit and charge items on the same invoice. Their e-mail no longer interfaces with MS OUTLOOK so you have no history track if your vendor ever received your purchase order (for example). The technical support department is quick to respond to complaints and requests to tell they not going to fix it. I could go on and on with complaint but long story short...keep looking. Thank you for your review. We value feedback from of our clients, both positive and negative. If the information is constructive, such that it will help us improve, we are always open to suggestions. 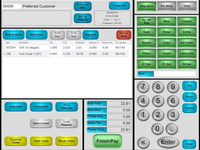 It has been challenging for some of our long-time customers who have transitioned from our legacy (character-based) system to the new Windows touchscreen capability. But we have been actively working with the ownership and management at Rose¿s Oil for the last few months to help address your concerns and issues. Some of the items you mentioned have been addressed in a previous release and some are upcoming in a future release. For instance, in the next release, email links will connect to MS Outlook for emailing, and history of those emails will be tracked in the users¿ Outlook mailbox. We would be more than happy to demonstrate this to you at your convenience. Pros: It is easy to use and new employees can catch on quickly. Customer support is timely. As the company grows, the Hosted system has made adding locations a breeze. Cons: Over the last two years, it appears that with each update, features and processes that have worked in the past are "broken". We have been using DM since 2003 and it is much improved but it is very frustrating to go to a feature that we have always utilized to find that it no longer works or gives the wrong information. It is bad accounting practice to find that prior period numbers change after an update. Thank you for being a part of our user community for over a decade. We are glad to hear that you are pleased with our cloud services and support teams. Each day we work to improve our processes and software to deliver a product that is better than the day before. We are working to focus our efforts with each new release to maximize features and functionality for our entire user base while also eliminating the occasional problems. There are times with all software applications when a deployment in the field delivers undesirable results in the specific way in which it is being used for a particular customer. It is our goal to minimize the frequency of those instances for DockMaster, and to architect the system in such a way that allows us to correct them quickly and accurately. Our energies are focused on serving each of our customers, and we appreciate your honesty and the opportunity to make the next decade+ better. 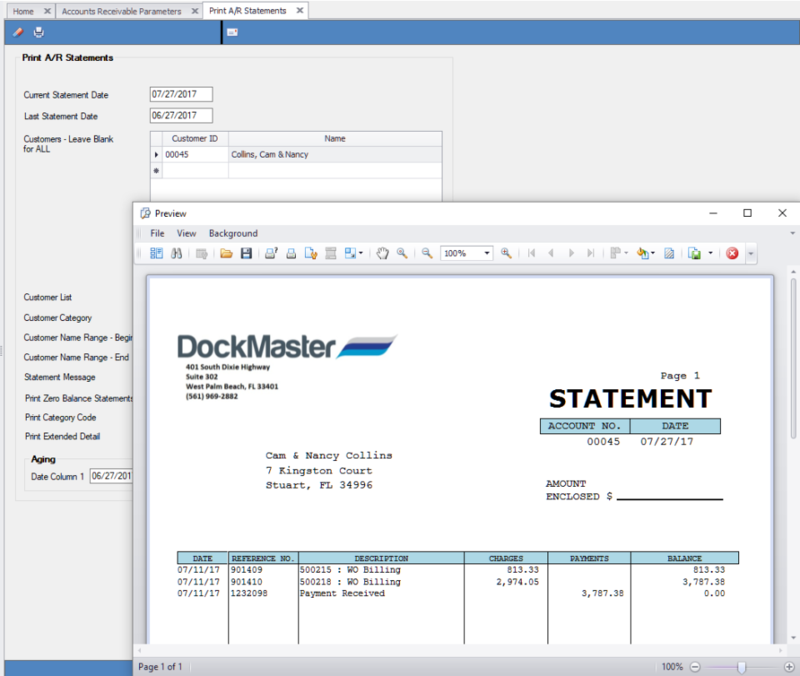 I have been using Dockmaster since 2006 and there is no comparable operating and accounting system. 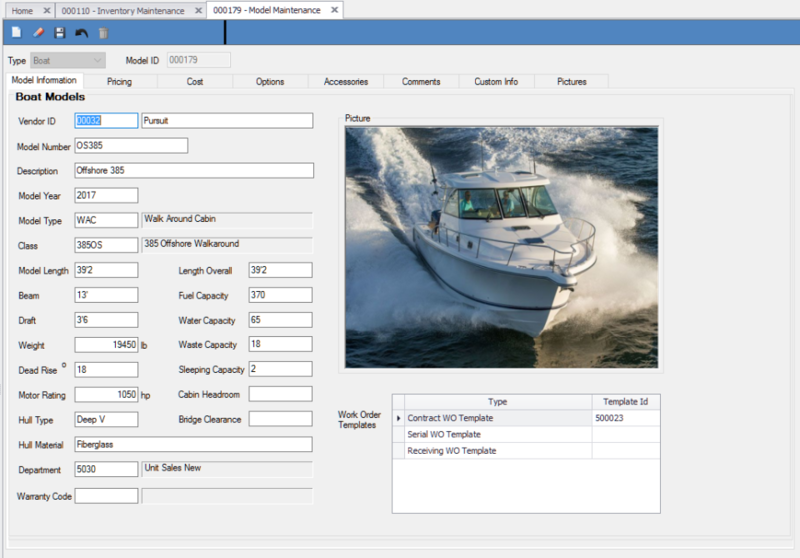 Pros: The ability to combine all in one from parts and boat inventories, service and marina capabilities to accounting applications. Very complete system. Cons: Needs to be able to download bank information to ease in the manual process of reconciling bank accounts. Thank you for your kind words. Your experience in the industry adds a lot of credence to this review and we are very appreciative. I'm very comfortable using this software and have used it for 16 years. Pros: This software is very friendly, pleasant, easy to update and learn. And very important to note that the support team is available 24/7/365. Cons: Because, we are in Costa Rica, it does not have the option for two currencies and this is not in accordance with the costarican's law. Overall: It makes my work easy! Thank you for your kind words and for being such a valuable customer since 2001! DockMaster has it's issues and bugs, but I have received excellent customer service. Pros: The detail of the different modules. Hoping to get the reservation up and running. I think with proper training this would be an excellent tool. Cons: The unexplained bugs and issues. I receive excellent customer support in solving them, but less out of the ordinary issues would be greatly appreciated. Thank you for the feedback, we appreciate your honesty. We will have to agree with you on DockMaster being an excellent tool ¿ . Like any software, whether it be DockMaster, Apple, Microsoft or the thousands of software products out there¿.every product has a bug or two. We value and need your input to help us improve our tools, and being part of the collective community of users is what has made DockMaster the leading product it is today.